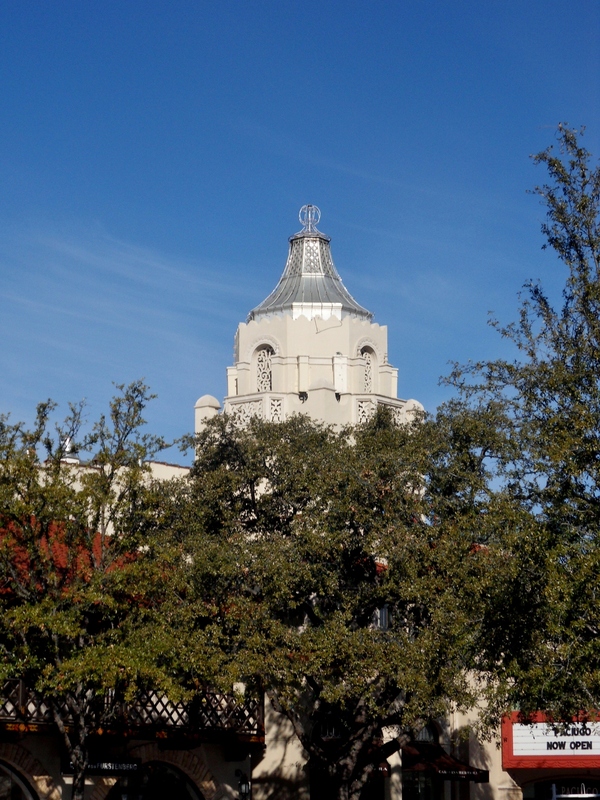 Highland Park, Texas is an enclave municipality within the city of Dallas. Along with its northern neighbor, University Park, Highland Park forms the über-rich duo known as the Park Cities. 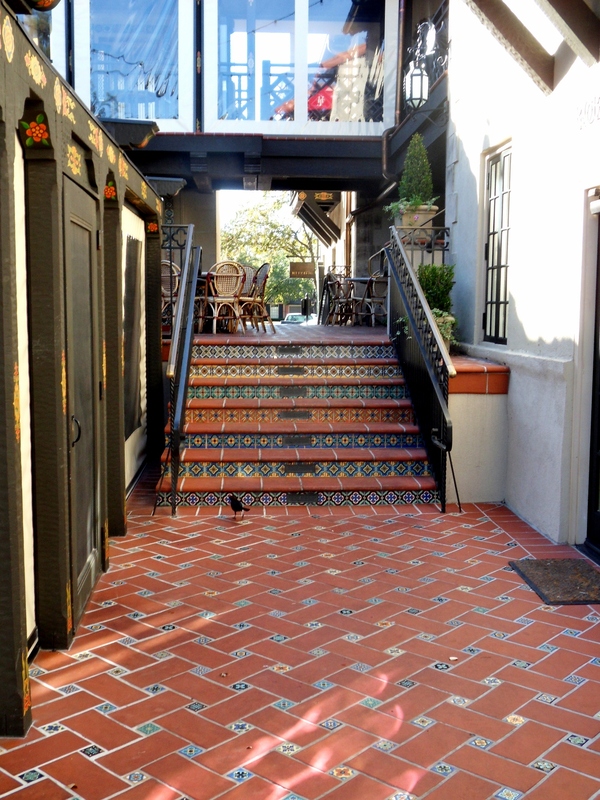 Within Highland Park, right across from the posh country club, is a historic strip mall called Highland Park Village. 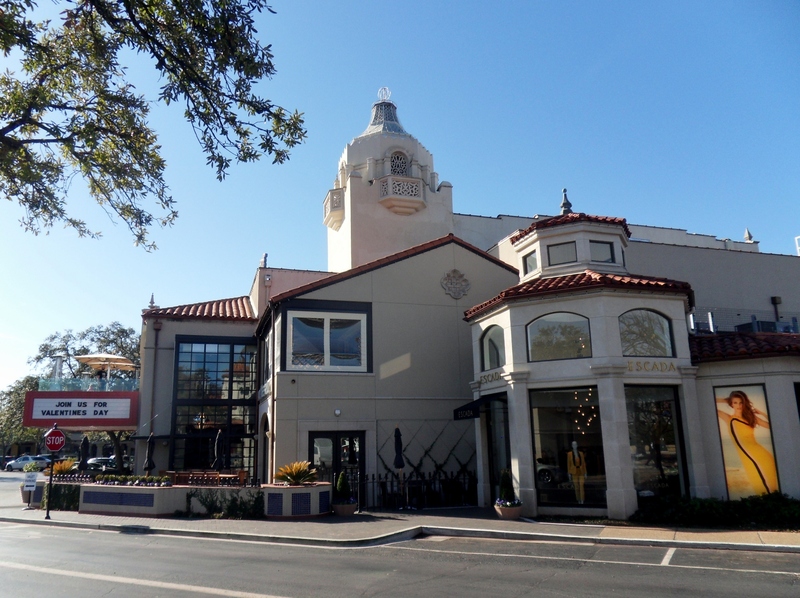 Declared a national landmark in 2000, Highland Park Village is one of the oldest car-centric shopping centers in the country. It’s also got some very nice Spanish-style architecture, so I drove down there on a warm February morning for some pictures. 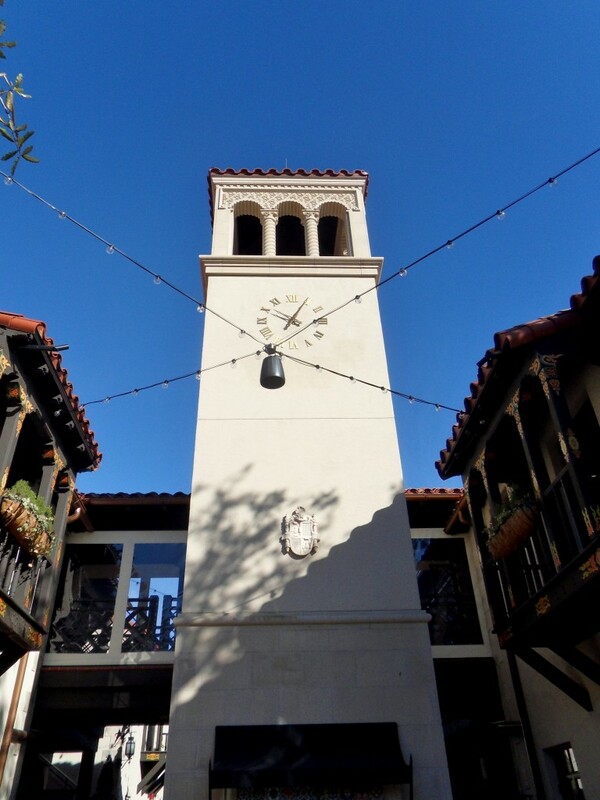 This clock tower stands in the middle of the complex. It looks very California-esque. 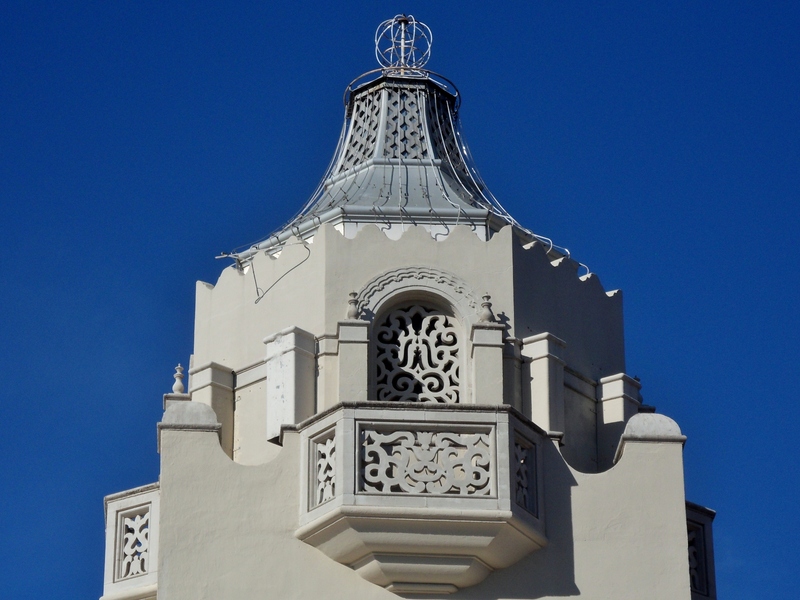 Closeup of the clock tower. 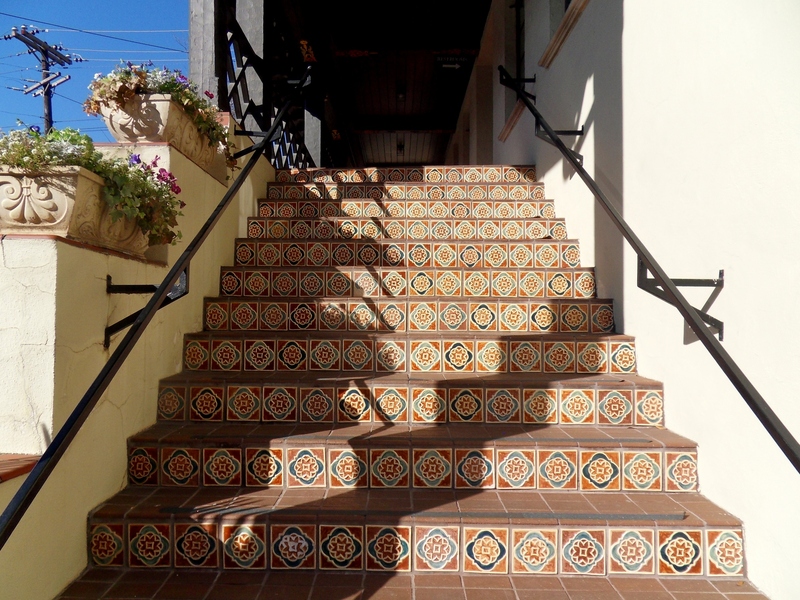 There’s a small patio in the middle, with these elaborately decorated steps leading there. 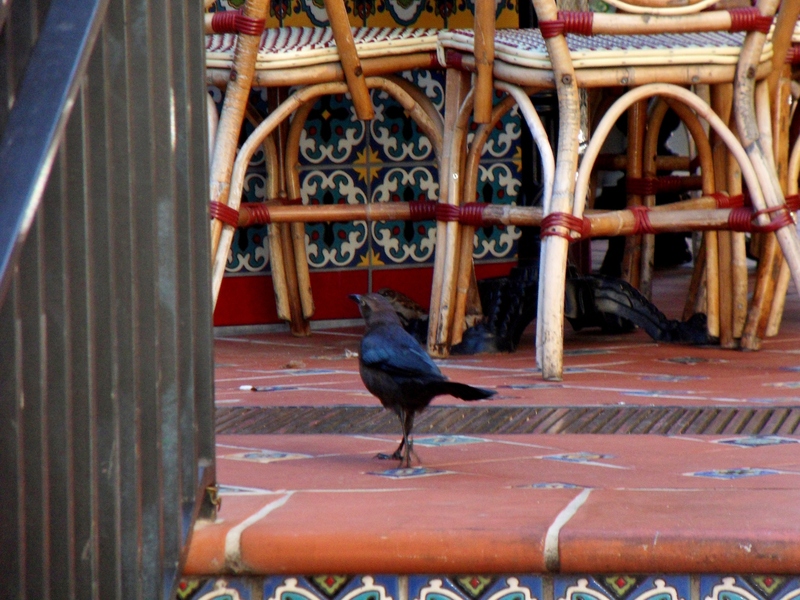 A grackle on the patio. 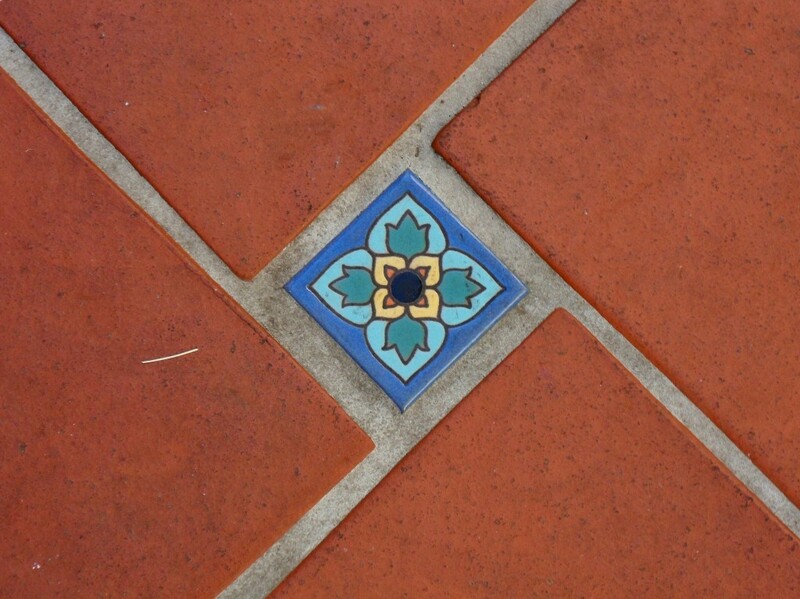 Closeup of the patio tile. 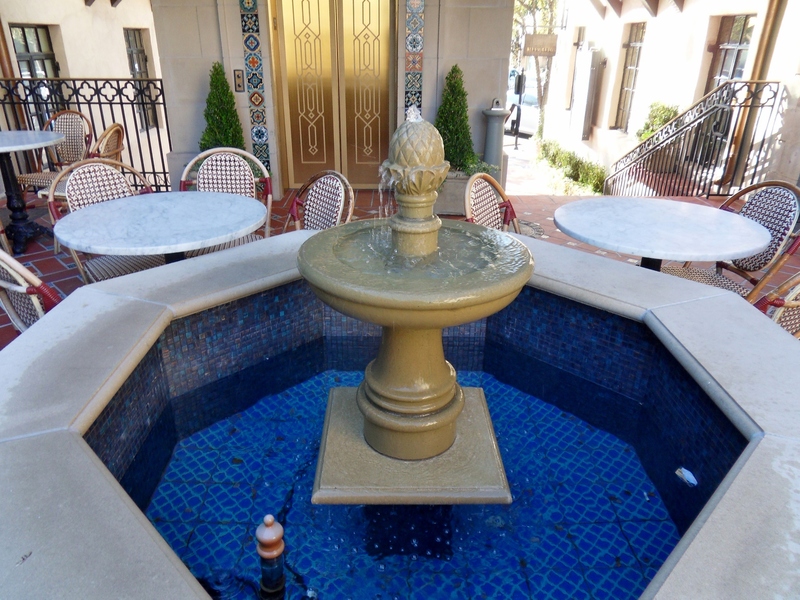 A pretty fountain on the patio. No coins in it though. 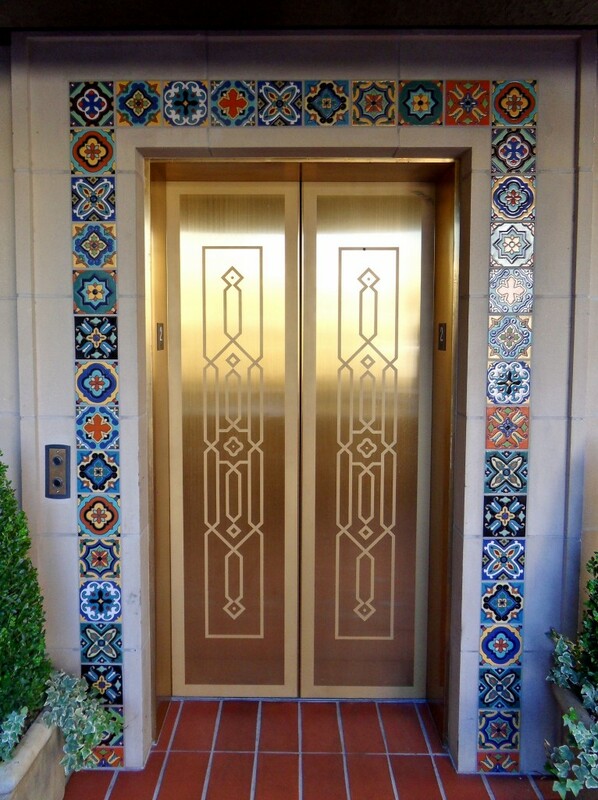 Even the elevator doors are elaborate. This isn’t original, but it sure matches. 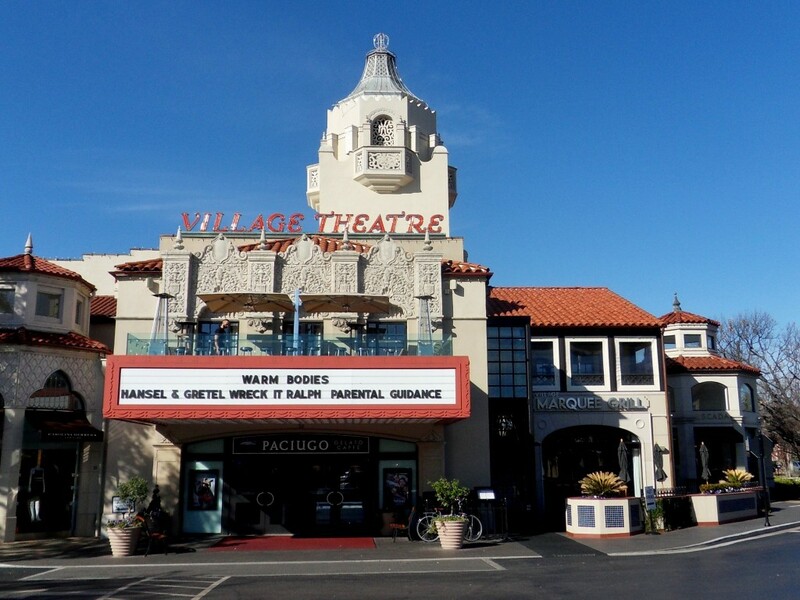 Highland Park Village Theatre, with the marquee and a funky looking spire. The movie theatre from the side, with a neighboring store in an octagonal addition. The movie theatre spire sticking out through the trees. Closeup of the spire. I love how blue the sky is. Another set of steps, leading to some offices next to the movie theatre. 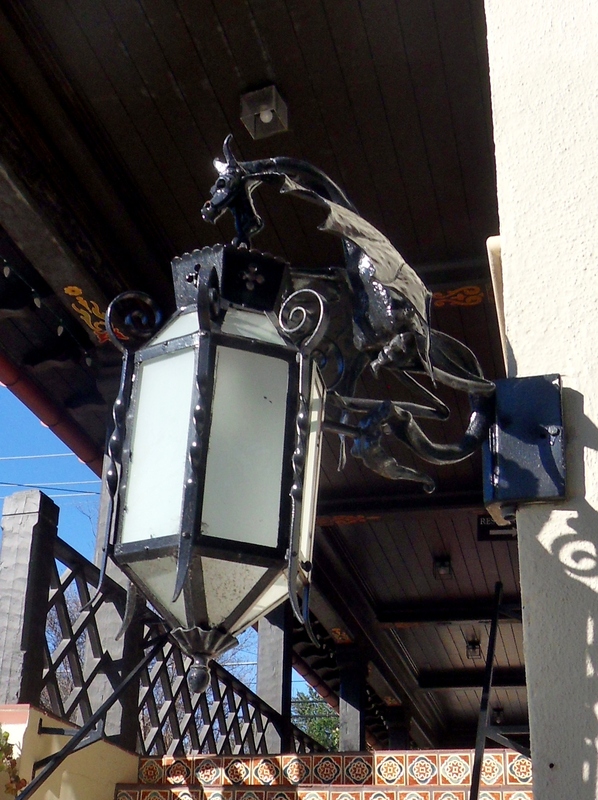 There’s a dragon on this light fixture. It looks like something from the Renaissance Faire. 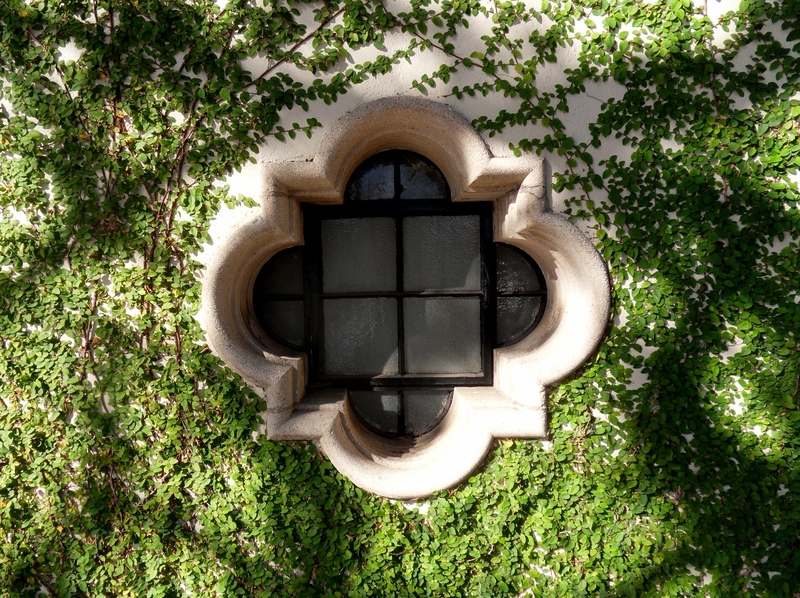 Even the windows are elaborate. The Highland Park city limit signs use this same shape. 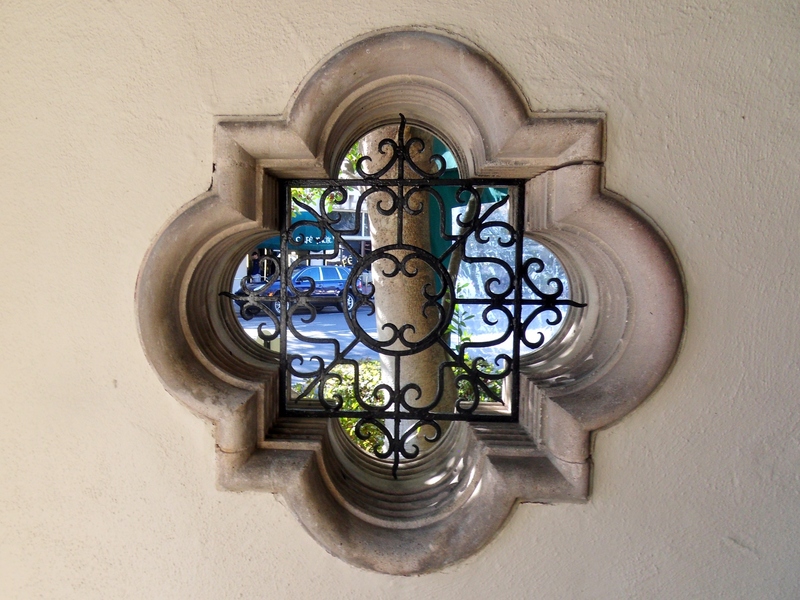 Another window, this one without glass. In the late 1920s/early 1930s, two local developers decided to build a “downtown square” for the town of Highland Park. They traveled around to Barcelona, Seville and California to get ideas. I have to say, they did a pretty good job of capturing the Spanish mission style. 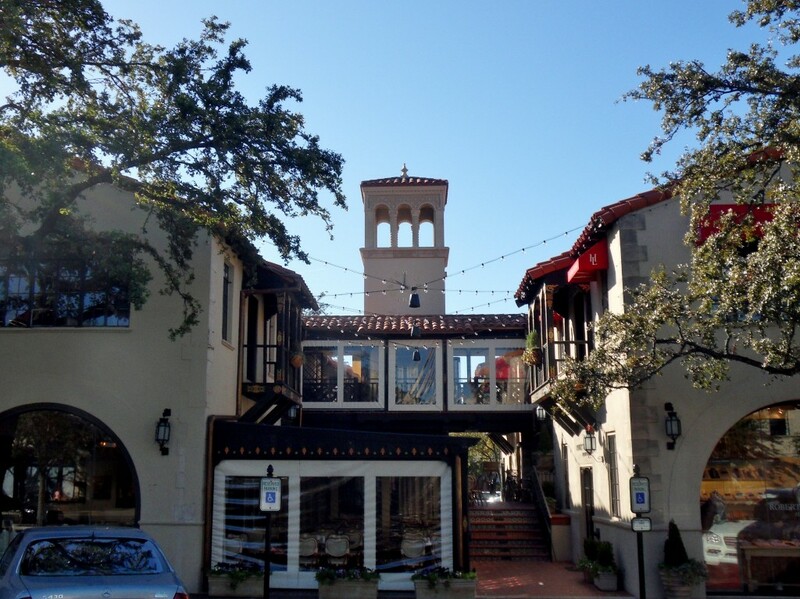 I’ve been all over Spain, and I can tell you that Highland Park Village captures the look of the Alhambra (though the Alhambra doesn’t have a parking lot and a Starbucks within its walls.) It’s certainly no substitute for real Spanish architecture, but it’s better than most of the strip malls you find nowadays. In a city know mostly for shopping and dining, Highland Park Village does it right.